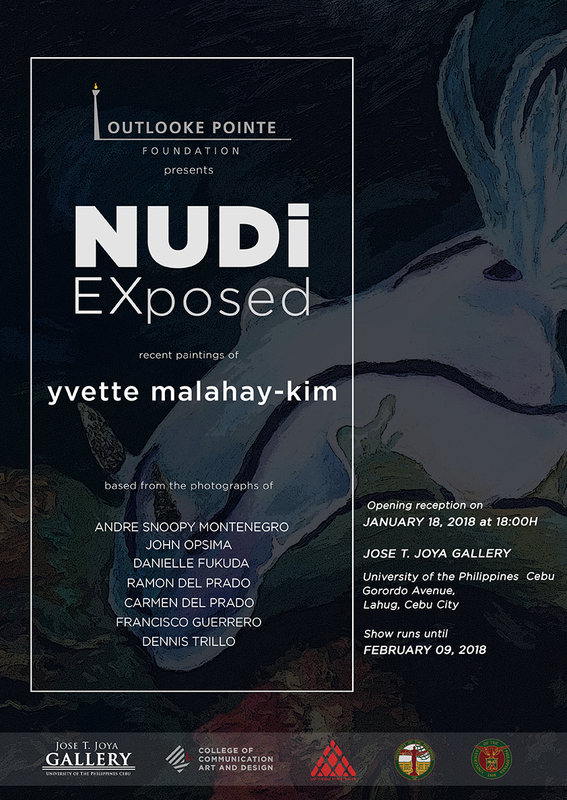 The Joya Gallery in cooperation with Outlooke Pointe Foundation proudly brings you NUDi EXposed, an exhibition of recent paintings by UP Cebu Fine Arts Faculty Yvette Malahay-Kim. Inspired by the artist’s love for the underwater, the paintings uncover the diversity of Philippine marine life bringing to focus the extraordinary colours and striking forms of the Nudibranchs, or what are casually called sea slugs. Yvette’s masterful brush strokes playfully reinterpret fellow divers’ and friends’ photographs of sea slugs, portraying these minute creatures into large canvasses of swathing colors and vigorous shapes. As advocate for the protection of the seas, Yvette hopes to cast greater attention to the rather hidden beauty and diversity of Philippine underwater ecology now threatened by the complexity of environmental issues brought about by rapid urbanization and the economic struggles of the Philippines. Everyone is cordially invited on January 18, 2018 for the opening reception at 6:00 PM at the Joya Gallery, Lahug, Cebu City. The exhibition will run until February 9, 2018.